Becoming a certified nursing assistant (CNA) in Michigan requires one to undergo a brief training program of several weeks and pass a competence test. The passing of the course allows an individual to be certified as a nursing assistant for two years. Nearly 10% of nursing schools in the state offer courses for a certificate in nursing assistance, making it a popular option for aspiring nurses seeking a quick transition into the workforce. There are significantly more institutions offering licensed practical nurse training: around 20% of Michigan’s nursing schools provide an LPN certificate program. A wealth of both public and private colleges in Michigan offer LPN training. This certification allows the holder to perform some medical procedures under the supervision of a registered nurse or doctor. 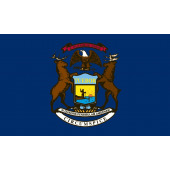 At the frontlines of Michigan’s nursing profession, registered nurses must complete numerous clinical hours of hospital work in addition to earning an associate’s or bachelor’s degree. Over 91,000 registered nurses are employed in Michigan. Increasing demand for the position makes this career path hugely popular. To help aspiring nurses in Michigan find the best education programs, we’ve organized below a comprehensive list of the state’s accredited nursing schools.